Sometimes when I sit down to write my Friday Favorites, it's difficult to always remember where I saw that swoon-worthy item...the only downside of being a shopaholic in my humble opinion. 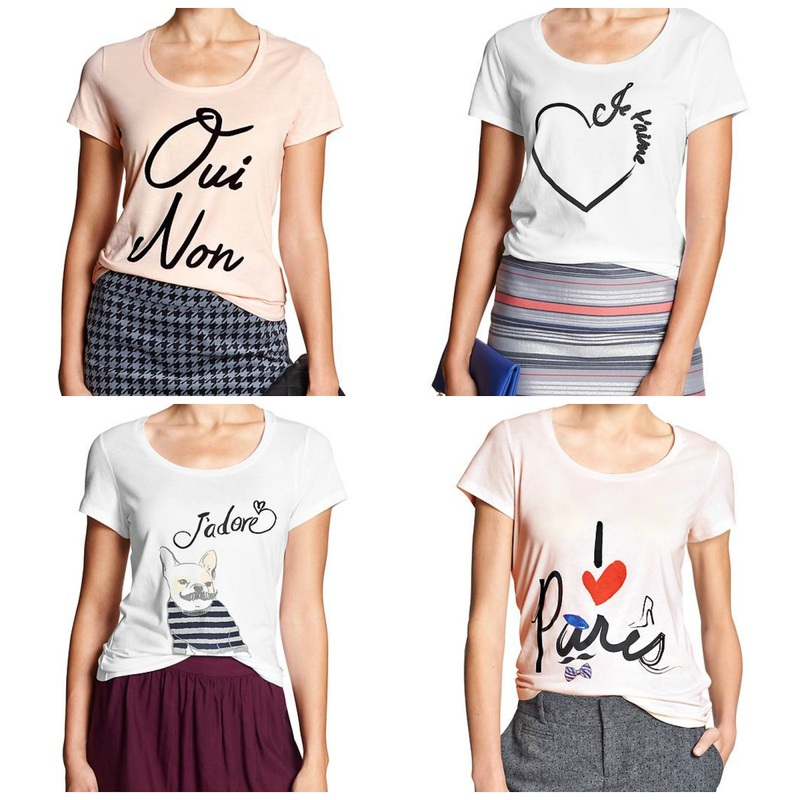 This week, all of my finds are still not popping up online (something that unfortunately is happening on a regular basis, especially at Target) and while I searched for new arrivals to start showing up before today, I came across these adorable graphic tees. I've never actually ordered anything from Banana Republic's Factory Store since I prefer to see everything in person first. I'll consider this "research" for my blog once I decide which one I want to arrive on my doorstep. Do you shop online without seeing something first? 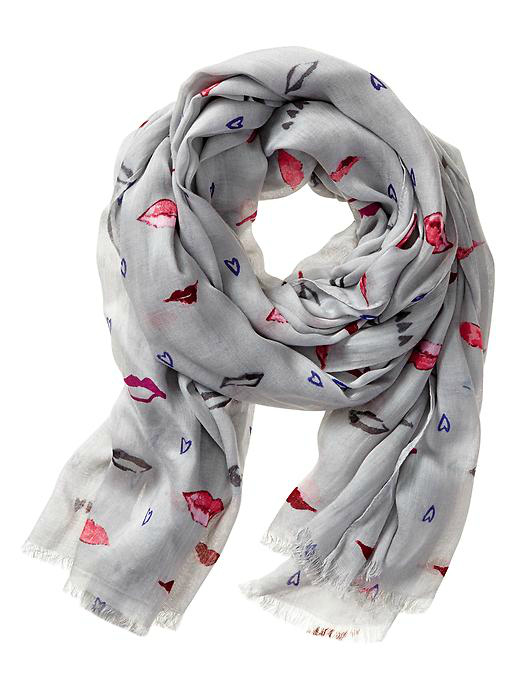 How fun is this lip scarf? Sadly, online shopping is mostly how I shop. Love these tees though! So chic! Walmart $5 Fall Beauty Box have arrived! H&M Free Shipping + New Fall Collection!! Holiday Beauty Sets are Here!! Altuzarra for Target Store Pics + Review!